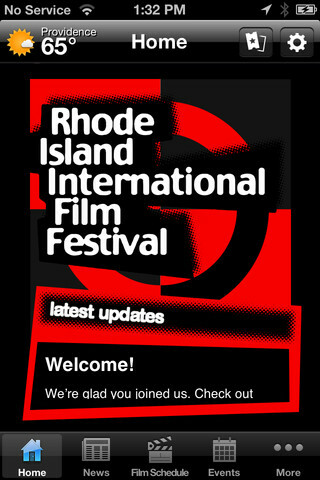  Flickers' Rhode Island International Film Festival, produce annual statewide film festival event, 1996 - present with year round presence and sidebars. This award-winning and acclaimed event is an Academy Award qualifier in the short film division in 2002. In 2003, it was cited as "One of the Top 10 Short Film Festivals in the United States." In 2006, it was hailed as one of the "Top 12 Film Festivals in the United States." Its promotional campaigns have won four Emmys and 11 nominations. In 2009, it was listed as one of the Top 20 Events in New England. In 2011, it was listed as one of the Top 30 Events in Rhode Island by the Providence Business News. It's annual attendance for its year-round programming is over 40,000. • 7 Day PSA Competition, conceived by Duncan B. Putney, an Emmy winning writer and the creative producer of Original Concept & Development Associates (www.OCDA.biz). This national competition has been created for and by the non-profit Flickers Arts Collaborative as part of the Creative Impulse Award programming. 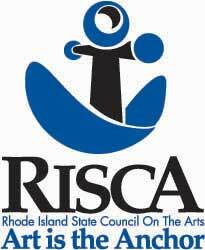 Introduced in 2010 with initial programming taking place ion Rhode Island, Maine and Massachusetts. • Flickers North Country Film Festival, The Rhode Island International Film Festival now has a new screening location and sidebar Festival as we partnered with the historic Balsams Hotel in Dixville Notch, NH for this historic and highly anticipated event. The inaugural Festival celebrated the art of film, supported the local community and inspired communication and dialogue. The first year's event was an overwhelming success with more than 1,000 attendees. Following the motto of FLICKERS, since its creation 29 years ago "Through communication comes understanding," The Flickers North Country Film Festival did just that... and then some. Watch for it to grow and develop partnership relationships. Introduced in 2010. • Flickers' Youth Film Jury, was created to support education through the art of film. The association has teamed up with artists, and film festivals throughout the United States and beyond, to create a community outreach, by exposing youth to the world of independent film. Our goal is to expand their knowledge of film and creativity; to nurture and discover the next generation of quality, thoughtful, and creative filmmakers and film enthusiasts. 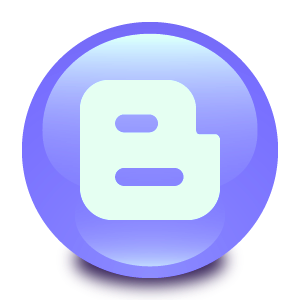 Created in 2010. • New England Film Festival Alliance (NEFFA), brings together three film festivals in New England; Martha’s Vineyard International, Woods Hole and the entire state of Rhode Island with the opportunity to reach 40,000 affluent and educated people annually who align themselves with the celebrities, artists, the art of film making and the lifestyle of these destinations. One festival is accredited by the Academy of Motion Pictures Arts and Sciences, Movie Maker Magazine named another festival the top 25 coolest film festivals of 2009 and this internationally renowned vacation destination has attracted numerous American Presidents, world dignitaries and intellectuals of all types. Created in 2010. • "The Topsy Turvy World of Gilbert & Sullivan" presented in a live performance by the newly formed Flickers G&S Ensemble. The program is under the musical directorship of Eric R. Bronner. This special concert is part of our ongoing 35th Anniversary Celebration of the Flickers Arts Collaborative and is dedicated to the memories of Scott Winthrow, Ted Tuttle and the Ocean State Light Opera (OSLO) and will feature many of the original cast members, 2009. • "Malice Aforethought," Ghoulish Halloween Fun with a musical motif! Silent films provide a backdrop to the RI International Horror Film Festival’s presentation of “Malice Aforethought.” Musical selections from Tales of Hoffmann, Hansel and Gretel, and Gilbert and Sullivan set the mood. Featured performers: Lorna Jane Norris and Kara Lund, sopranos; Ethan Bremner, tenor; Vaughn Bryner, baritone; and Matthew Larson, pianist. Kara Lund was the musical director, 2008. • RIIFF Technology Forum, The modern, 21st Century filmmaker must be both an auteur and an entrepreneur – hence the emergence of the “auteurpreneur,” a term coined to describe the evolving role that a filmmaker must play. Digital distribution and other dynamic technologies provide filmmakers with an array of powerful tools to use to promote and market their artistic vision. The technology forum is a series of discussion focused on the emerging marketing and distribution trends in digital and web-based technologies. Various panels explore a distinct topic lead by a team of professionals with expertise related to that topic. Participants have an opportunity to interact with the panel experts and to ask them questions on the subject matter, 2009 - present. • RIIFF Third Tuesday Film Series, Jamestown Arts Center, Jamestown, RI, featuring the best RIIFF films from each previous season, 2011 - present. • RIIFF Third Tuesday Film Series, Courthouse Center for the Arts, Kingston, RI, featuring the best RIIFF films from each previous season, 1999 - 2009. 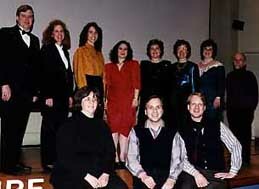  Jamestown Chamber Music Series, produce acclaimed Winter Music Series, 1999 - 2004, 2008.  Annual RIIFF Promotional Trailer; Emmy Award winner, 2003, 2007, 2008; Nominee 2004, 2010.  Merci Train Project, Museum of Work & Culture, Woonsocket, RI , exhibit creation, multi-media development, marketing tools, 2000-2007.  "Reflections: East Meets West," film/video festival featuring specially commissioned concert with the "Music of Ikuma Dan" and touring performance program, 1993-2005, 2008.